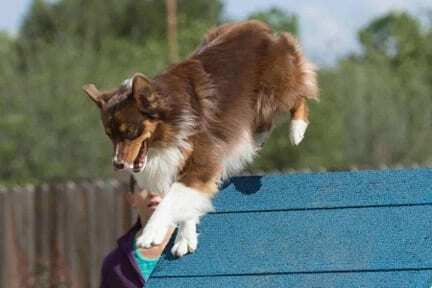 Agility Licensees were formed to allow agility clubs who only wished to host agility competitions the ability to do so without becoming full ASCA affiliate clubs. Licensees may host only agility trials. Licensees are the equal of Affiliate clubs, paying the same fees to ASCA. All forms necessary to become an agility licensee can be obtained from the Agility liaison at the ASCA business office. ( [email protected]) Forms may be filled out and sent to the business office with proof of insurance. A licensee may take any form – simple club, sole proprietorship, LLC or corporation. Anyone who is an officer or director must be ab ASCA member, but all positions do not need to be filled. For example, if The XYZ Agility club is applying to be a licensee and Mary Smith and John Doe are the partners in the LLC, no other officers need to be listed. Both Mary and John must be ASCA members. Once the application has been received by the office, it will be checked for fees and insurance. The application will then be sent to the Agility Committee, who will verify information and then give a recommendation to the ASCA Board of Directors asking for approval or denial of the application. After approval by the Board of Directors, licensees may sanction ASCA agility trials on any open dates (dates that no other affiliate/licensee has used within the last 3 years). If the licensee chooses dates that have been used (belong to) to another affiliate/licensee, the new licensee must acquire permission from the original affiliate/licensee owner of the dates. Once permission is secured ( if necessary), the licensee will notify all local clubs of their intended trial dates.